The so called “Gilis”, which means islands in Sasak are three little islands (Gili Trawangan, Gili Meno and Gili Air), only a few kilometers north-west of the Lombok coast. A few years ago the islands were a traveler’s secret, but are now very well developed as a result of tourism. The Gilis are famous for its white beaches and crystal clear water, attracting divers and beach life seekers from around the world. No matter which of the three islands you choose, the main attraction lies below sea level. Still there are incosistent breaks on the southeast coast of Gili Trawangan and Gili Air. But You shouldn’t visit the Gilis for the surf, but for a laid back lifestyle away from the scene. 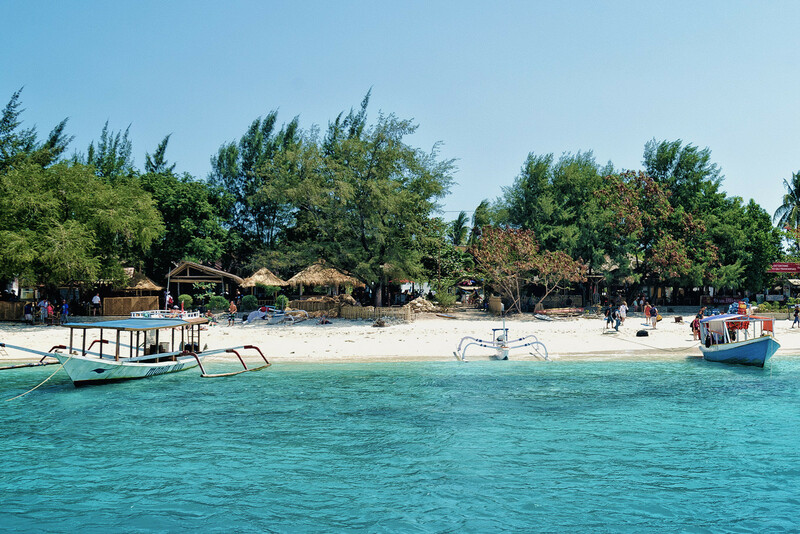 The Gilis are surrounded by numerous coral reefs and some of the best diving spots in Indonesia. To protect the coral reefs from destruction, the diving schools and residents of the three islands have founded the “Gili Eco Trust” organisation. 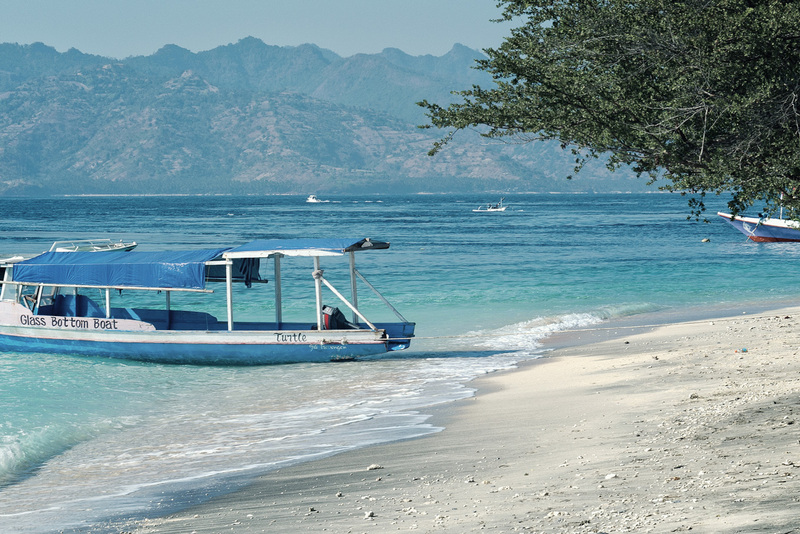 When you dive at one of the Gili islands you’ll automati- cally participate in the program, by paying a reef tax. Aside from the “Cidomos” (the traditional horse-drawn carriages) and the bicycles which are available for hire, all the Islands are completely free of traffic. The islands are not very big and are easily rounded in 2-3 h.
Gili Trawangan is the largest and most famous of the “Gilis”. This island is the furthest from the coast, but is easily reached in less than an hour by a local ferry from Bangsal or less by speedboat. There is a wide variety of accommodation with a good selection of bars and restaurants for all tastes. Snorkeling is very easy just off the coast, where you can enjoy a large variety of tropical fish. The island is famous for its coral gardens and is one of the best dive spots in Lombok. 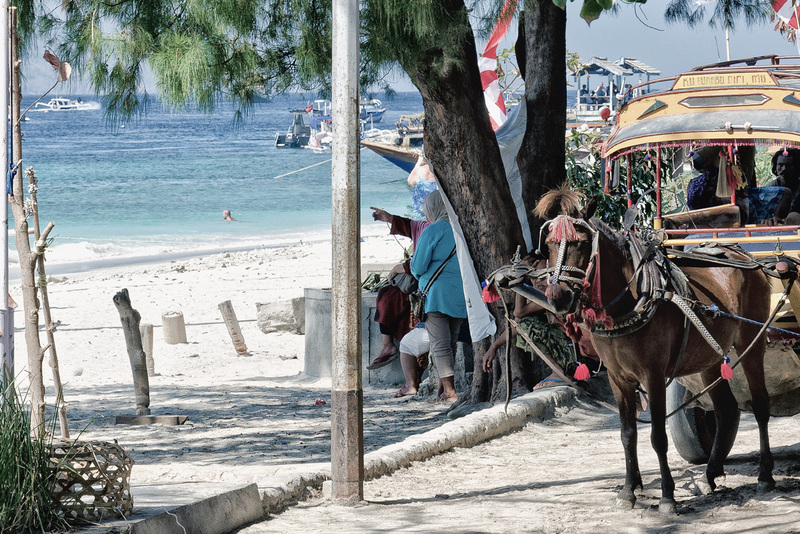 Gili Air is the closest island to the coast, and with almost 2,000 inhabitants the most populated one. The atmosphere of the Island is in between the tranquility of Meno and the stylishness of Trawangan. 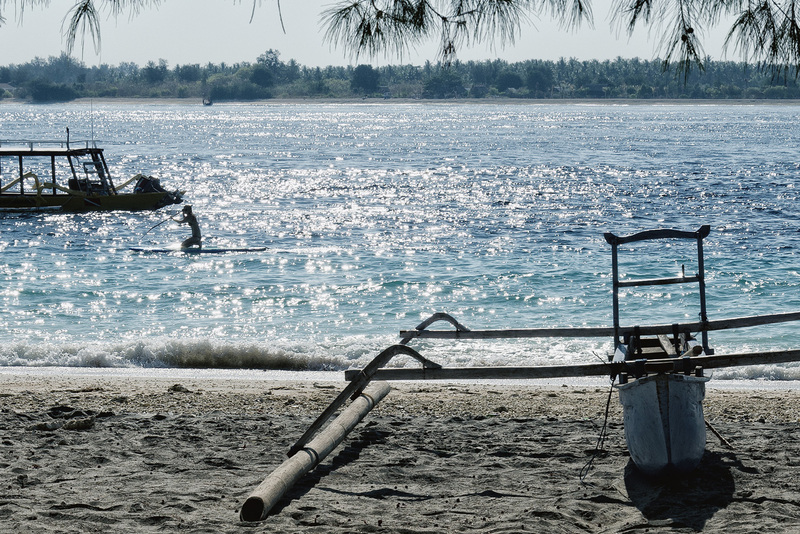 Gili Air has plenty off Diving facilities and you can go snorkeling right from the shore, especially from the East and Northeast beaches.